Through the Microsoft Education Partner, Software4Students, you can now buy full professional versions of software including Microsoft Office 2010, Windows 7 and much more at unbelievably low student prices! All school and college students and their family members or guardians living in the UK and Ireland are eligible. We have strong links with schools, colleges and universities across the UK and Ireland. 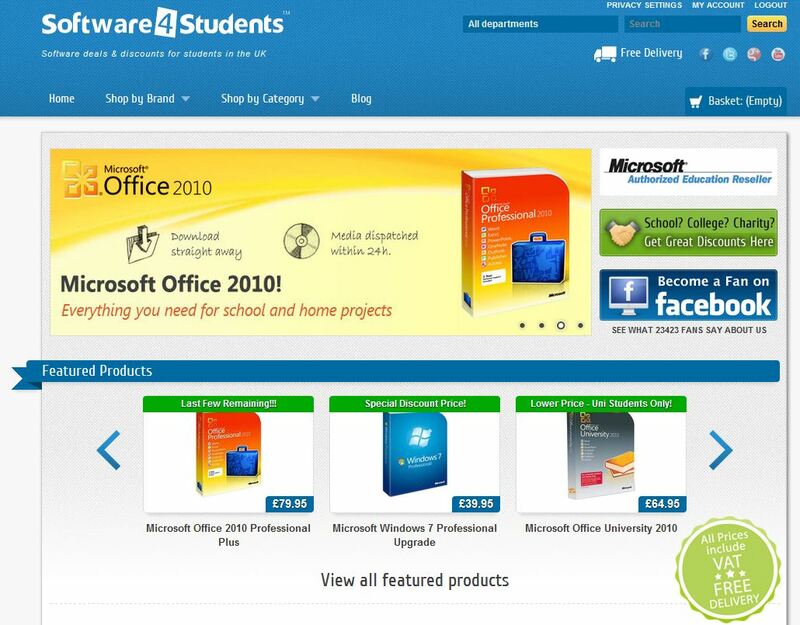 Microsoft have linked to Software4Students from their website so you can buy with confidence. It is 100% official full version software, packaged by Microsoft and supplied with valid licence keys.